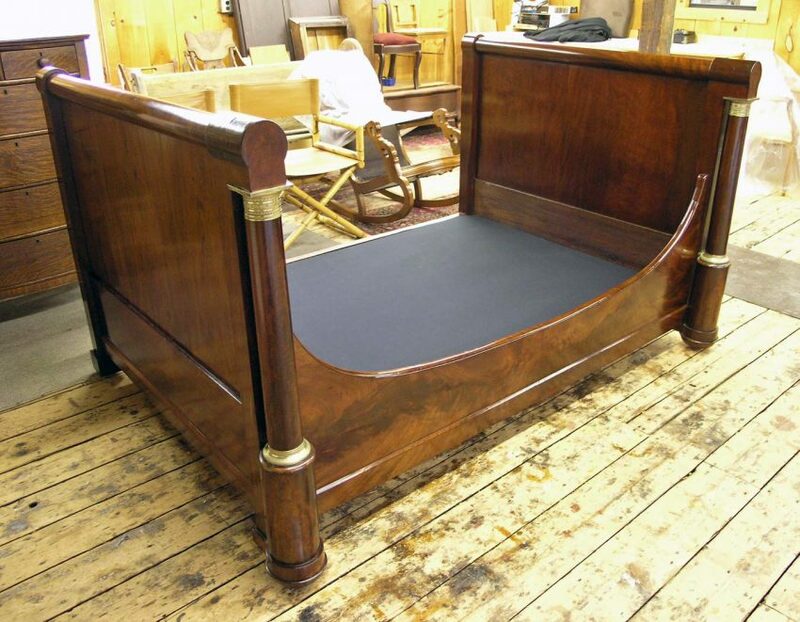 An extensive restoration for this 19th century daybed, but everything came out great. Shimmed the open shrinkage cracks on the panels. Re-glued the head and foot board back together. Re-glued loose and replaced missing veneer on the top rails. Repaired the front side rail (broken). Re-attached the decorative brass mounts. Replaced 2 missing bed bolts and set the nuts. Installed new bed slats (missing). Installed a platform covered with fabric to support a mattress. This day bed was restored for a Hillsdale NY client.